Image editing defines the modifications and alterations made to any image. These images can be stored in any format such as prints, photographs on films, and digital photographs. Today, most of the firms used images for their marketing purpose. And hence, the concept of photo editing has gained a wide prominence. Do you want to manipulate the color or size of your image? Are you looking forward to invest in the best image editing services? Are you expecting your images to stand out amongst your competitors in the race of marketing? If yes, then, you have landed at the right place. We, at Scanning and Indexing, offers the best and quality-oriented image editing services to all our valued clients at a low cost. We understand your needs and thus, offer the services at a reasonable rate, without making a compromise on the quality. Our clients belong to various industries such as photo studios, logo designing companies, corporate organizations, publishing houses, catalog companies, real estate agencies, and portrait and printing studios. We have a team of professional and highly talented photo editors who utilize various software such as Adobe Photoshop, Adobe Illustrator, Adobe InDesign, Tour Viewer and much more. 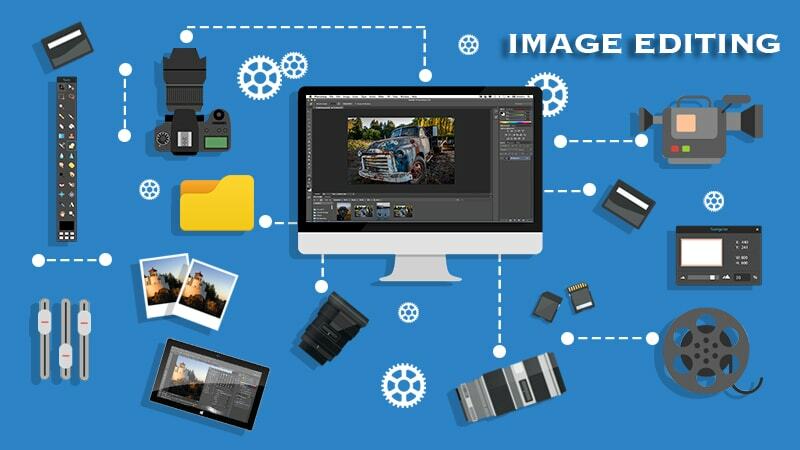 The final output is delivered in various formats such as RAW, PNG, JPEG, TIFF, PDF, BMP, GIF, DOC, and many more. If you feel, we can give an extra lively spark to your images, kindly drop us a mail at info@scanningandindexing.com right away.